As information technology develops, we have to upgrade our network products such as cables, patch panels, etc. 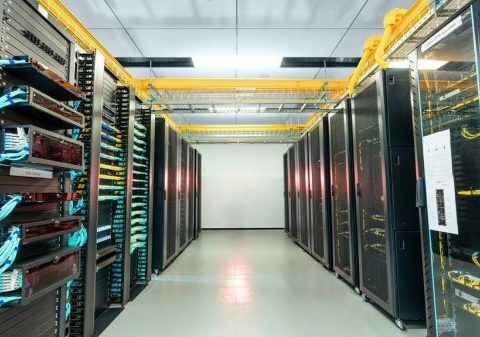 Besides, to reduce our data center’s cost, we are tempted to use the old and new ones to make a mixed connection. For instance, run Cat6a cables on Cat6 patch panel. However, does it work? 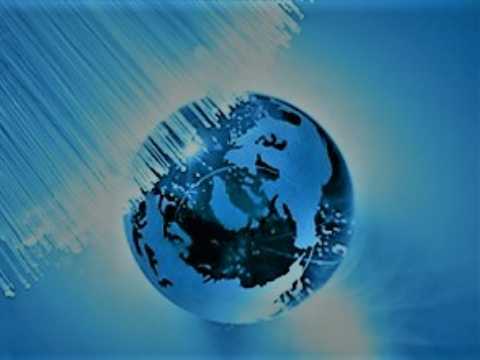 Is it a reliable connection? Here we’ll discuss it in this article. Cat6 usually has 23 AWG wire conductors and can support transmission speed of up to 10Gbps at 250MHz. But the theoretical top distance with 10Gbps speed is only 33-35 meters. While Cat6a also has 23 AWG wire conductors but doubles the capability by delivering data at 500MHz. Moreover, it supports 10Gbps standard over the full 100-meter distance. Note that Cat6a is usually thicker than Cat6 cables because Cat6a uses extra thick plastic. Therefore, Cat6a takes more space in a patch panel than Cat6. 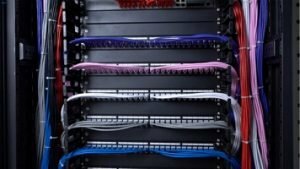 Ethernet patch panel is the easiest method currently for your networking needs by providing a reliable and neat Cat6 and Cat6a cabling. 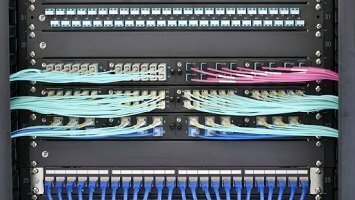 Usually, we use Cat6 patch panel to connect Cat6 cables, and Cat6a patch panel is for Cat6a cables. However, there isn’t a much practical difference between Cat6 and Cat6a patch panel. Then how about installing Cat6a on cat6 patch panel, will it work? There are several things to consider before answering it. 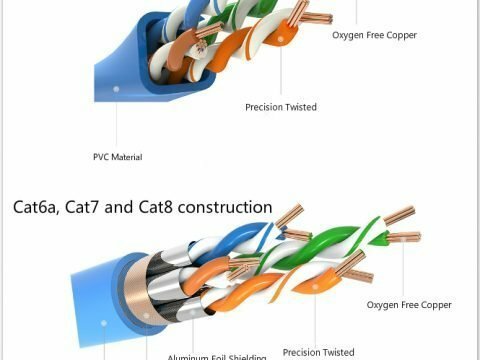 Cat6a cable’s size is bigger, so the corresponding minimum bend radius is larger, which will change installation requirements for routing and handling as well as the design of pathways and spaces. For example, when we install Cat6a on a 48 port Cat6 patch panel, the larger wire may end up bending. So it’s not entirely safe to wire Cat6a on the 48 port patch panel, you have to manage it with much more patience and caution. Commonly, conductors determine whether the connection works or not. Thus, in this respect, Cat6 patch panel will work with Cat6a cables, since they have the same RJ45 conductors. But from the above, we know it’s not safe enough to do so. 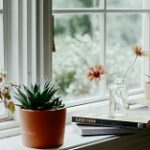 Related Article: Will Different Ethernet Cable Speed Affect My Network?